Your child's first birthday is a major milestone that’s characterized my many other firsts, like the first word, the first step, or the first tooth. Dental professionals associated with both the American Academy of Pediatrics and the American Dental Association recommend that every child should visit a dentist as soon as the first tooth appears. So it’s a good idea to find a kid-friendly dentist in San Dimas around your child's first birthday. Your baby's first dental visit at the age of 1 year is just as important as his/her well-baby check with your pediatrician. 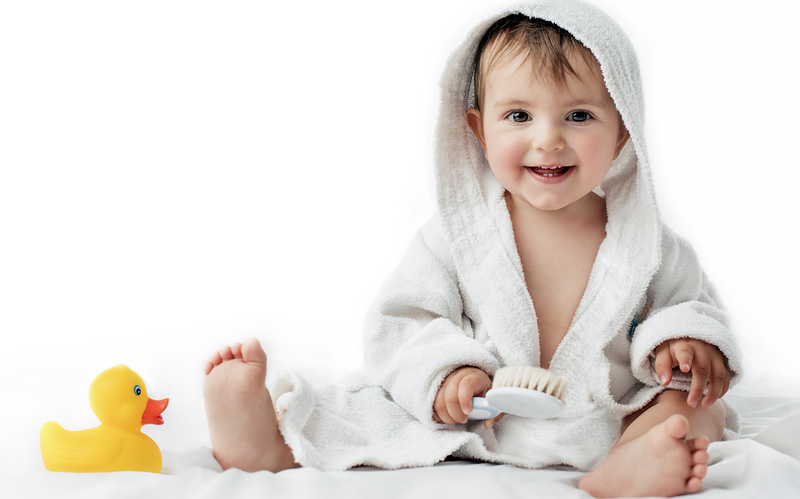 This visit provides an opportunity for you to learn about the oral health of your baby, as well as how to prevent most problems from occurring, or easily address any concerns in the early stages. 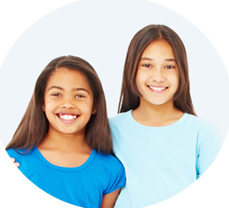 According to the American Academy of Pediatric Dentistry (AAPD), a timely first dental appointment can set the tone for a lifetime of great oral health, especially considering that tooth decay is 5 times more prevalent among children than asthma, making it the most common chronic childhood disease. Multiple studies show that early childhood caries, tooth decay, can start as soon as the baby teeth begin to erupt and progress very fast. In fact, the risk of early childhood decay doubles every year from the first tooth. This implies that your child will be about 20 times more likely to have tooth decay at the age of 5 years than at the age of 1 year. 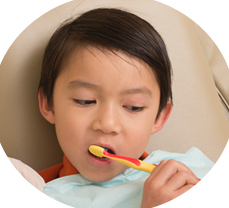 Delaying your child's first dental visit essentially puts his/her oral health at risk. On the other hand, visiting a pediatric dentist by the age of 1 year will allow for the prevention and/or early detection of oral problems for timely, low cost treatment. 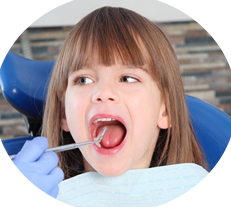 You will also learn how to care for your child's oral health through proper brushing techniques, pacifier use, teething milestones, and so on. Early visits are also likely to create a positive experience at the dentist that will make them conscious of their oral health throughout their life. 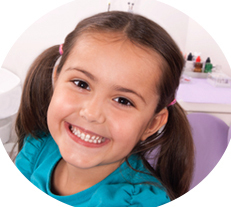 Schedule Your Child's First Dental Visit in our San Dimas location Some parents assume that the health of the baby teeth is not as important as that of permanent teeth. Although your child will eventually lose the first teeth, they are very important while present. They help your child chew, hold space in the mouth for the permanent teeth, help with speech development, and give your child a lovely smile. The earlier you get your child started on receiving proper dental care, the better you position yourself in maintaining oral health for a lifetime. For more information or to schedule an appointment, call Dr. Corina Ramirez, Pediatric Dental Care in San Dimas today at 909.305.0642. Dr. Ramirez has been in the field of dentistry since 1986. She received her doctor of dental surgery from USC, where she graduated in the top four percent of her class. She received pediatric specialty training at UCLA, where she also served as the chief resident of the class of 2006. Dr. Ramirez has made taking the kids to the dentist a breeze! She is wonderful with the children and her gentle approach & kid friendly office helps them feel at ease. I have been taking my 7yr old daughter to Dr Ramirez since her first tooth came out. Dr Ramirez is really great ! My daughter is very nervous when it comes to visiting the dentist. 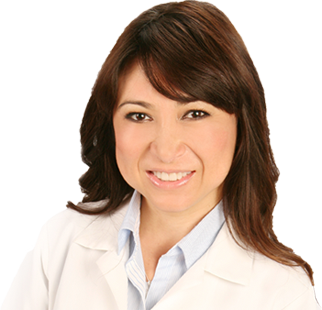 Dr Ramirez and her staff went above and beyond to help her calm down and try to make the experience enjoyable and easy. Dr. Ramirez and her staff were very helpful. Her staff made it easy to schedule our appointment and explained my child's procedure step by step. Dr. Ramirez is great. My kids were scared to go to the dentist until they met her. Dr Ramirez was very patient and her method to check toddlers teeth puts them at ease. Very positive employees! They made my little girls feel comfortable about being at the dentist.